One of the most rewarding aspects of my career and business has been those projects that I have lead. Over the past several years, I have had the great fortune of taking leadership roles within my community and some of the projects I am most proud of are detailed below. This project began in 2010 when I and a group of local residents in Beacon decided we were going to bring a much needed amenity to our city on behalf of the many dog lovers who had nowhere to recreate with their beloved dogs. What began as a discussion at a local Main St. cafe, quickly turned into a city wide initiative that culminated in a three year project that touched every part of the community, bringing together businesses, families, and a diverse set of city residents. 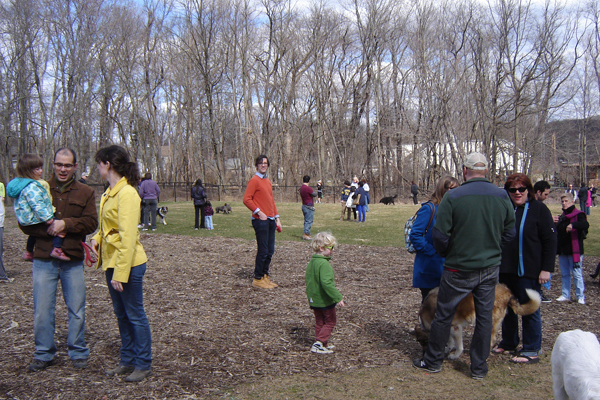 By the time the park had opened, over $50,000 had been raised, countless fund-raising & out-reach events had taken place, our project was featured as a Best of Hudson Valley Magazine pick, and a once unused piece of land in our Municipal Park became a beautiful and cheerful place visited by over 250 dogs! As anyone might expect, creating a dog park in any municipality is no easy task. Realizing the challenges, I quickly deduced that the only chance for success was to dive head first into the project and "leave nothing to chance" and I decided to incorporate a non-profit 501 c/3 organization that would ultimately fund and operate the park. As one of the park's founders and its first President, I created and oversaw all aspects of the parks development from being conceived, funded, constructed, opened, and finally its holding its first election and passing the torch to the next wave of leaders. 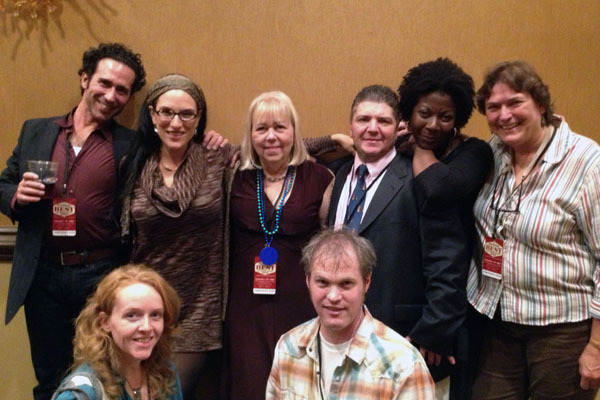 Best of Hudson Valley Magazing Winners! Our beta test of the park! We're Open... the dogs rejoice! Working and the Mayor and City Council to pass a series of resolutions the effectively made the dog park possible and structuring a unique partnership between the non-profit and the City of Beacon that is a model for other community projects to follow. Incorporating a non-profit, developing a board of directors, accomplishing our final 501 c/3 determination form the IRS. Working through all the legal contracts and issues associated with the City of Beacon and the related agreements. Developing a fund-raising strategy that would ultimately raise over $50K in cash and in-kind donations as well as receiving a grant. Developing a master-plan for the park with the assistance of a local architect, animator, and land-engineering firm. Developing a marketing plan, PR strategy, and online presence. Working out all the details required by the various insurance obligations. Enlisting and overseeing a team of volunteers - all of whom contributed and helped in every capacity during the fund-raising, construction, and ongoing operation of the dog park. Developing an operational plan for the park that would enable the park to run as a financially sustainable business, serve its members needs, satisfy all its legal and insurance obligations, and ultimately be a happy and joyful place visit 365 days/year. Our City, Beacon, celebrated its centennial this year. As an active member of the community I was welcomed to take part in the centennial planning celebrations. Our city is filled with creative, ambitious, and generous people - it was a wonderful year with many events taking place and many new friends made. Having a passion and an enthusiasm for one of our city's great initiatives, The Mt. Beacon Incline Railway Restoration, I endeavored to put together an exhibition that would not only feature the rich heritage that started in 1902 when the Incline first opened, but even more importantly showcase the restoration plans that will see a new Incline Railway that honors its past, connects the community to nature and will help spur economic development for our city and surrounding region. An 8 minute movie, Excelsior, plays. Kiosk System - cool tech! I created a five week long exhibit that was housed in the beautiful River Center at Scenic Hudson's Long Dock Park. I designed / coordinated the creation of over 40 large format prints, photographs, renderings. I developed (4) kiosk systems that played video/animations that included: a Google Earth flyover of Mt. Beacon, the Fishkill Creek Greenway Trail, a restored 1902 movie of the original Mt. Beacon Incline Railway. I commissioned a landscape photographer Robert Rodriguez Jr. to create an 8 foot wide panoramic photograph overlooking the city of Beacon. I worked with the City of Beacon, Scenic Hudson, and the partner organizations to fund and operate the exhibition with volunteers and contributions from the community. Additionally, I enlisted the help of various professionals in the city to donate their specific skills and expertise for content creation and execution. By the end of the exhibition in July of 2013 over 1,000 visitors came through the space. There were 5 independent speaking events, and a wonderful opening event which was attended by many local and regional leaders. Copyright © 2013, Segue Development LLC. All rights reserved.